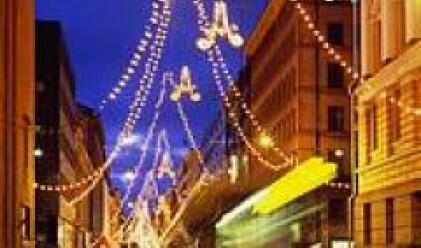 European Commissioner for Foreign Relations and Neighbourhood Policy Benita Ferrero-Waldner opened Wednesday an exhibition in Brussels mottoed "Let's spend Christmas in Bulgaria and Romania". The event was organized by the Brussels-Europe Liaison Office, an association of European Commission employees and EPSO. Among the hundreds of guests, including employees of the European Commission and other EU institutions in Brussels, were Bulgaria's Commissioner Meglena Kouneva, who is in charge of consumer protection, and Victor Orban, the Commissioner for Multilingualism. The guests were treated to a performance of folk musicians and dancers, were able to sample and Bulgarian and Romanian delicacies and obtain tourist information about the two countries. Commissioner Ferrero-Waldner noted in her remarks at the opening that Christmas is a time to remember that people and are at the heart of the EU policy. She added that this attitude made her think of the five Bulgarian nurses and Palestinian doctor - now already a Bulgarian citizen - who will be able to spend Christmas with their loved ones for the first time in eight years. The Commissioner was referring to the six medics who were sentenced to death on faulty charges of intentionally infecting hundreds of Libyan children with the HIV virus. Their death sentences were commuted to life imprisonment and they returned to Bulgaria after a huge European diplomatic effort with the personal interference of Commissioner Ferrero-Waldner.